C17585 Rev. S. A. Tuilovoni holding inscribed whale tooth presented by the Methodist Church in Fiji to the Methodist Church of the United States. 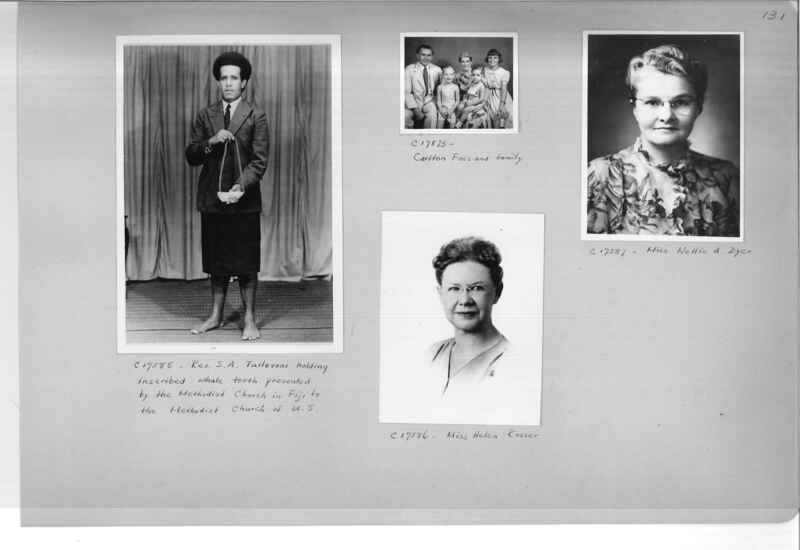 Board of Missions of the Methodist Episcopal Church , “Mission Photograph Album - Portraits #07 Page 0131,” UMC Digital Galleries, accessed April 21, 2019, http://catalog.gcah.org/omeka/items/show/60743.